Megan Cain, author, speaker and educator will be the keynote speaker for the 23rd annual Spring Garden Conference at the UW Marinette Campus on March 24. MARINETTE, Wis. — 2018 Spring Garden Conference registrations are now being accepted by the Northern Lights Master Gardeners Association. This event, now in its 23rd year, will take place at the UW Marinette Campus on Saturday, March 24 featuring keynote speaker Megan Cain. 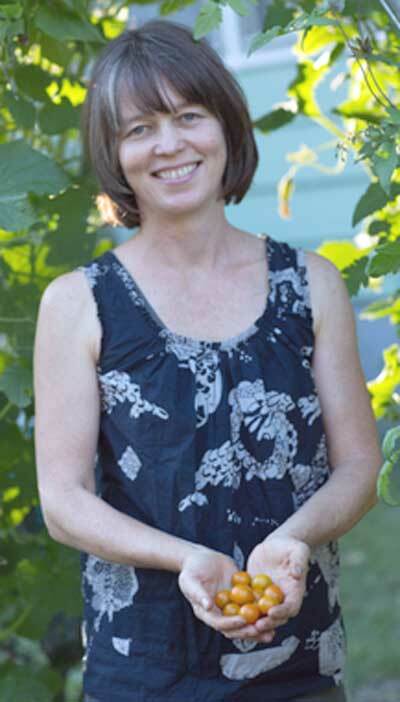 Cain is the founder of The Creative Vegetable Gardener and the Flavorful Life Garden Club, an educator, author, and speaker. She has a love of gardening and shares what works and what doesn’t with youth, homeowners and attendees at various speaker forums. This conference will provide a wide range of educational sessions covering topics such as vegetable gardening, seasonal garden beds including miniature, native, willows and perennial, and practical sessions for low input lawn care, soil considerations, and basics before purchasing an apple tree for your yard and fruit tree pruning. Several hands on workshops are also offered. The conference is a full day event starting with registration at 8 a.m. and includes continental breakfast, a soup, salad and sandwich buffet, Megan Cain’s keynote presentation “Design Inspiration for a Creative Vegetable Garden”, a full day of sessions, displays, raffle and sale of garden related items. The all-inclusive registration fee for this event is $40. Workshops will have an additional fee to cover materials. Books authored by Cain will also be available for purchase. Brochures are available at local libraries, partnering businesses and the UW Extension office. A printable version and more information can be found online at http://marinette.uwex.edu. or on Facebook. Registrations must be received with payment by March 20. Early registration is recommended as many sessions and workshops fill rapidly. Northern Lights Master Gardener Volunteers and the UW Extension provide learning opportunities by helping communities better understand horticulture and the environment. Proceeds from this event are used for educational events, Harmony Arboretum Demonstration Garden maintenance, and other educational programming in our communities. Contact the Marinette UW Extension office at 715-732-7510 or visit online http://marinette.uwex.edu for further information.